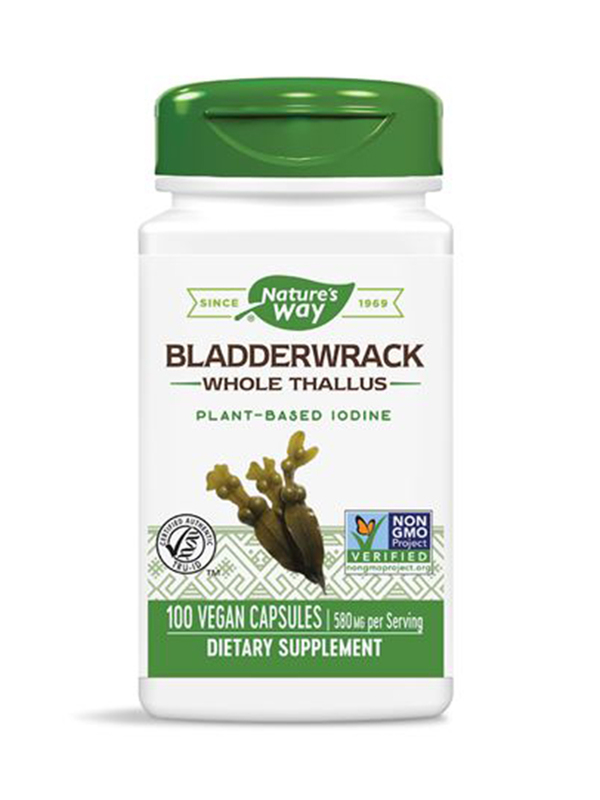 I use Bladderwrack 580 mg by Nature's Way for my sluggish thyroid and it works well. 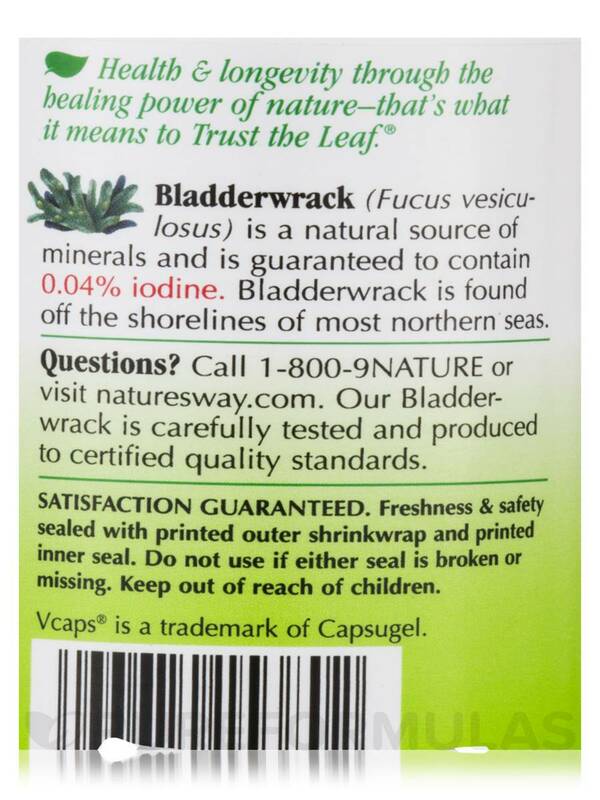 I take Bladderwrack 580 mg by Nature's Way for the high iodine content. My added bonus is to open the capsules and use the powder in a handmade face mask potion. Really makes the skin glow. Bladderwrack is a natural source of minerals and is guaranteed to contain 0.04% iodine. Bladderwrack is found off the shorelines of most northern seas. Take 1 capsule daily‚ preferably with food. Do not exceed recommended dose. 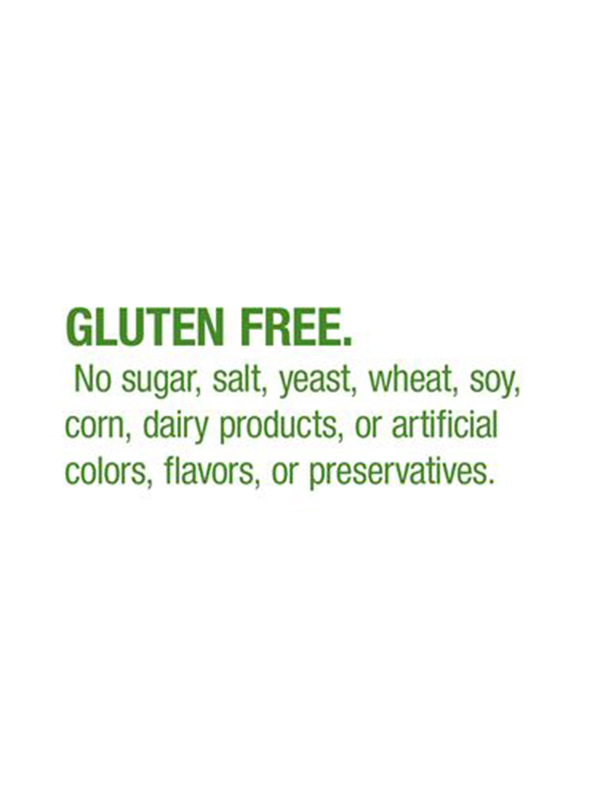 This product should not be taken by persons with known hypersensitivity to iodine or hyperthyroidism. Consult a healthcare professional before using if you are pregnant‚ nursing or taking a prescribed iodine medication. I bought this Bladderwrack 580 mg by Nature's Way to add iodine my daily diet in order to help with my PCOS. I didn't see a noticeable difference in my symptoms, so it's didn't difficult to say what the impact of this was for me. So I wouldn't buy it again for my purposes, but I don't what its efficacy is for other purposes. 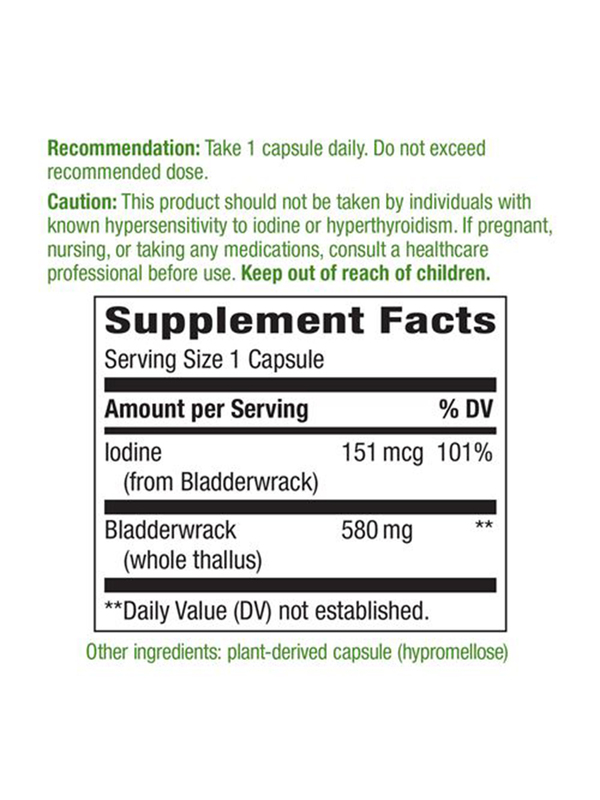 I bought this Bladderwrack 580 mg by Nature's Way to add iodine my daily diet in order to help with my PCOS. I didn't see a noticeable difference in my symptoms, so it's didn't difficult to say what the impact of this was for me. So I wouldn't buy it again for my purposes, but I don't what it's efficacy is for other purposes. 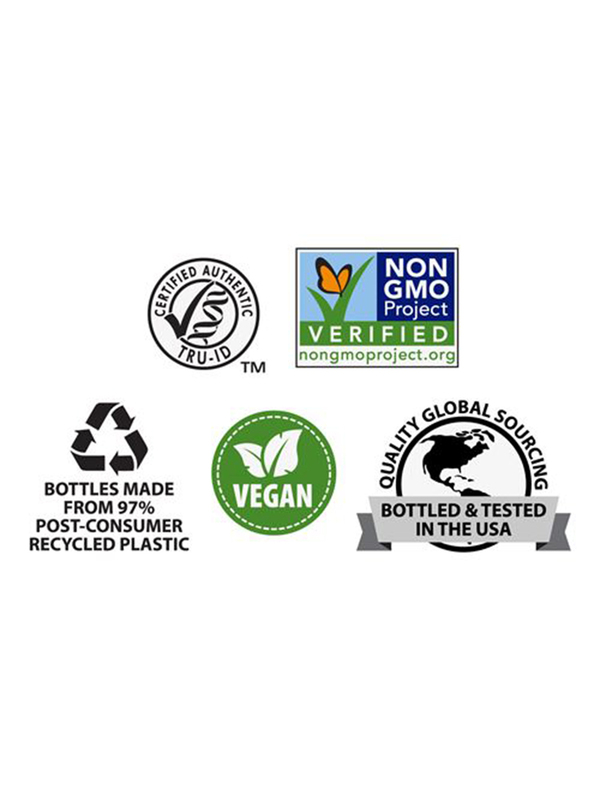 Great price, fast shipping, great for health AND beauty. I read type O blood types have sluggish thyroid, and Bladderwrack helps to stimulate it. Good product for blood type. I heard about Bladderwrack for weight loss for years. I now combine it with Norwegian seaweed in the AM before food and really feel good energy for the whole day so I know it is assisting my thyroid. Bladderwrack probably will do fine on its own but I like the combination.